Don’t let dieting advice and convoluted nutritional science keep you from creating a simple, healthy eating philosophy. Healthy eating – it is an American obsession. We pursue complicated diets, telling us to eat this not that. We pour over food labels and nutrition guides. We rely on scientific experts to tell us what is healthy or not, and then they change their minds. Healthy eating is a complicated and confusing miasma of information and conflicting advice. But what if it doesn’t have to be? What if healthy eating can be summed up in 7 little words? This is the healthy eating philosophy of Michael Pollan, investigative journalist and author of some of the most important books on the American food industry, including The Omnivore’s Dilemma. In 2009, Pollan published Food Rules an Eater’s Manual, in order to help readers answer one simple question: what should I eat? 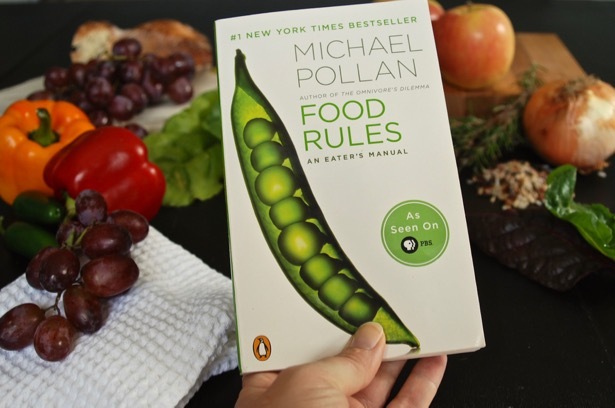 In Food Rules, Pollan offers a common sense approach to healthy eating with 64 simple rules that move beyond all of the mishmash of advice and scientific findings. I recently read Food Rules as part of my efforts to eat more healthy, develop healthy eating habits, and loose a little weight. It was on my summer reading list as you may remember. I was already a Michael Pollan fan, having read Omnivore’s Dilemma a few years ago, and Food Rules did not disappoint. 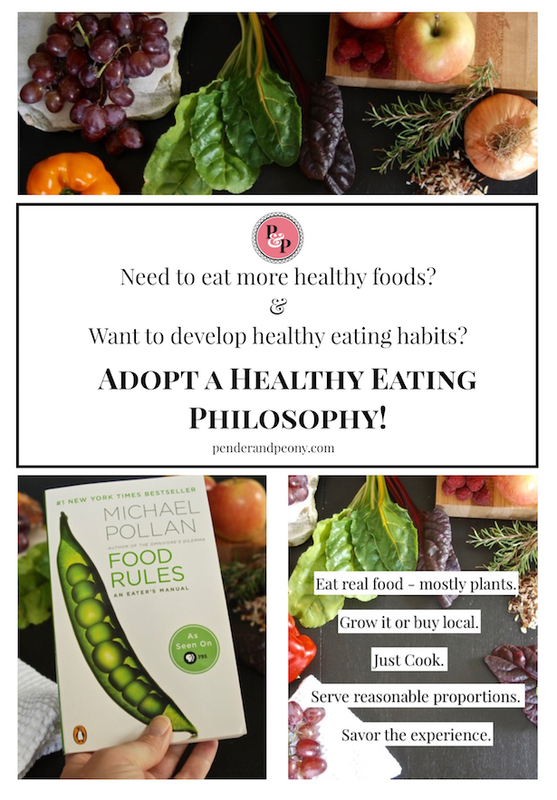 It is the most sensible, practical guide to healthy eating I’ve ever read! Pollan’s introduction to the book lays out the crux of the healthy eating obsession in America. The Western diet (high in processed foods and meat, added fat and sugar, lots of refined grains, few vegetables) is unhealthy and results in high rates of obesity, type 2 diabetes, cardiovascular disease, and cancer. In contrast, populations eating more traditional diets generally do not suffer these diseases. So for all the “healthy” foods, nutritional discoveries, and diet knowledge produced by Western nutritional science, we are still unhealthy eaters. In fact, Pollan points out we understand very little about how foods interact with our bodies, and instead of focusing on how and why traditional diets are effective, we are determined to identify the “evil nutrient” and eradicate it, but maintain the Western diet overall. Why? It’s simple – profit! #7 Avoid food products containing ingredients that a third-grader cannot pronounce. This had to make you laugh, but it is so right. I am always astounded when I read ingredient labels and I don’t recognize half the contents. Following this advice is such an easy way to get highly processed foods out of our diets and adopt healthy eating habits. #12 Shop the peripheries of the supermarket and stay out of the middle. Think about what is on the periphery of the grocery store: dairy products, eggs, fresh produce, and meats – real food! Food that you can actually follow the advice offered in #14. #14 Eat foods made from ingredients that you can picture in their raw state or growing in nature. Take a look at the ingredient list on a box of snack food. Can you picture all the contents growing on a farm or in nature? #20 It’s not food if it arrived through the window of your car. I already try to avoid fast food, although I’ll admit I’m a sucker for a Bojangles chicken biscuit every now and again. But changing my perception to think of it as not food is brilliant. My grandmother always said this, and it’s so true. Plus a plate with multi-colored foods on it is prettier and more appetizing. #30 Eat well-grown food from healthy soil. This is not just about buying certified organic, but actually knowing where your food comes from and whether it is produced in soil rich in organic matter because this produces more nutritious food. Plus the more local you can buy the better. Pollan’s point here is that if you take the time to prepare ice cream or french fries, you will eat much less of these types of foods because they are so labor intensive. A healthy eating philosophy doesn’t have to exclude treats, but it does have to view them as such. #46 Stop eating before you’re full. This rule is a total mind shift for me. 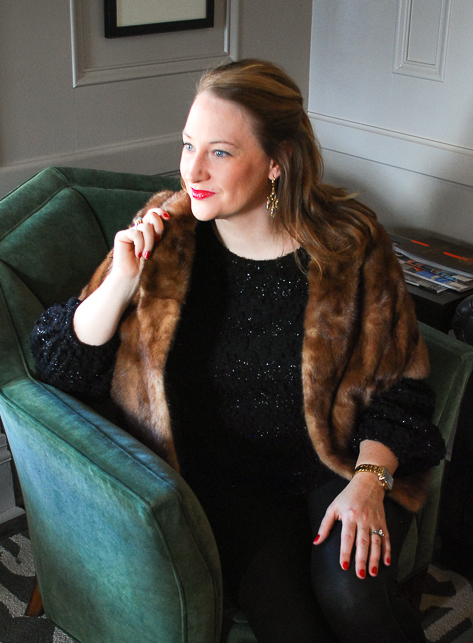 I grew up in a typical Southern “clean your plate” household, so learning to stop when I’m full whether my plate is clean or not is a big obstacle for me. But with this rule Pollan goes even farther to argue we should change how we define satiety. He suggests following a French or Eastern custom to stop eating when you have no more hunger that is a completely different perspective than eating until you are full. #52 Buy smaller plates and glasses. This is a key method to help me achieve #46 and control proportion sizes. Don’t you love how simple this healthy eating rule is? When we cook for ourselves we control the ingredients and proportions – we are in control! There are great resources out there for meal prep, and I just wrote a post about pantry organization for healthy eating. Like Nike’s ad campaign “just do it,” I’m going to start saying just cook! 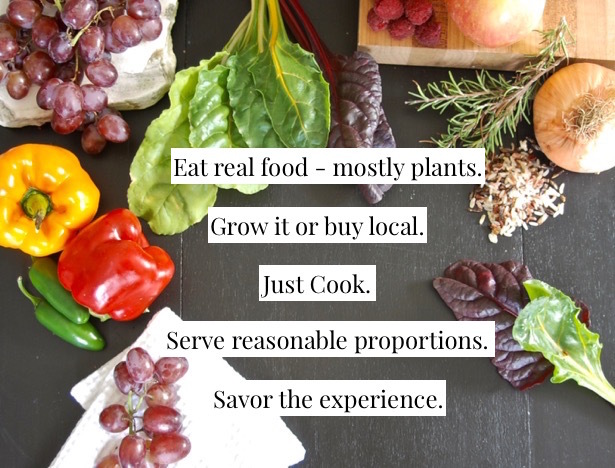 Eat real food – mostly plants. Grow it or buy local as much as possible. Just cook. Serve reasonable proportions. Don’t forget to savor the experience. Which of Pollan’s food rules resonate with you? Read Food Rules if you haven’t yet!